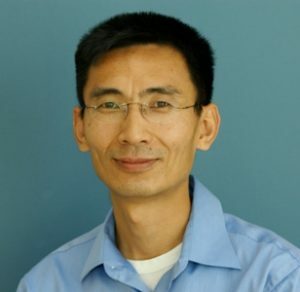 Jun-tao Guo is an associate professor in the Department of Bioinformatics and Genomics, College of Computing and Informatics, University of North Carolina at Charlotte. Before joining UNC Charlotte in August 2007, he was an assistant research scientist in the Department of Biochemistry and Molecular Biology and an associate member of the Institute of Bioinformatics at the University of Georgia. He received his Ph.D. degree in Molecular and Cellular Biochemistry and a Master’s degree in Computer Science from the University of Kentucky in 2001 and 2002 respectively. He started his bioinformatics career at Oak Ridge National Laboratory (ORNL) as a postdoctoral research associate. His research interests are in the broad area of structural bioinformatics. Specifically, he is interested in proteins structure prediction, protein-DNA interactions and their applications in deciphering biological regulatory networks through an integrated methodology of computational prediction and wet-lab experiment. He is also interested in the evolution of regulatory pathways. Guo, J-T. and Xu, Y. “Computational approaches to amyloid beta fibril core structures”, Methods in Enzymology, 412:300-314, 2006. Guo, J-T. Ellrott, K. Chung, WJ. Xu, D. Passovets, S. Xu, Y. “PROSPECT-PSPP: An Automatic Computational Pipeline for Protein Structure Prediction”, Nucleic Acids Res., 2004, 32:W522-5. Guo, J-T. Wetzel, R. Xu, Y. “Molecular Modeling of the Core of Abeta Amyloid Fibrils”, Proteins: Structure, Function, and Bioinformatics, 57(2):357-364, 2004. Guo, J-T. Xu, D. Kim, D. Xu, Y. “Improving the Performance of DomainParser for Structural Domain Partition Using Neural Network”. Nucleic Acids Res. 31(3), 944-952, 2003.